Robinson Cano and Dominican catcher Welington Castillo of the White Sox this month became the 56th and 57th MLB roster players suspended since PED testing was implemented. Of those, 40 percent were born in the Dominican Republic despite only about 10 percent of MLB players hailing from that country in a given season. A darkened Santo Domingo parking lot isn’t the safest place in the Dominican Republic to meet sources for stories. But this source wanted the isolated location, because he was one of the biggest known suppliers of performance-enhancing drugs to Dominican baseball minor-leaguers playing in that country and the United States. He still hoped to play ball for a U.S. college, had a cousin in the major leagues and was taking a risk by talking, but he wanted people to know why Dominican major- and minor-leaguers were getting caught using PEDs at a disproportionately high rate. The year was 2005, when Major League Baseball’s fledgling PED testing program in the majors and minors was showing signs of a serious Dominican problem. A weeklong quest for answers through Dominican baseball’s underbelly – including the shadowy world of unregulated, independent trainers known as “buscones” that develop the country’s teenage baseball talent amid a scarcity of high-school leagues – led us to the dealer and his explanation for why PED usage was practically mandatory for the nation’s youth. With hitters, he added, scouts wanted muscular sluggers with grown-man strength. And in the Dominican, where your career often is effectively over if you haven’t signed a professional contract by age 18, players can’t always wait for natural growth. So, some buscones – who pull players as young as 12 from school and work them around the clock to sell to MLB scouts starting at age 16 – beef up their prospects on steroids, testosterone and even farm-animal drugs meant for horses and cows. This was the free-for-all Dominican system that Mariners second baseman Robinson Cano, suspended 80 games last week after testing positive for a PED masking agent, competed within as a teenager. The same goes for Mariners teammate Nelson Cruz, who is two years older than Cano and was suspended 50 games with Texas in 2013 after being linked to the PED-supplying Biogenesis clinic in Miami. MLB has attempted reforms, introducing suspensions for PED usage in 2008 for pros in the rookie-level Dominican Summer League and some top amateurs. But Arturo Marcano, a lawyer, ESPN commentator and author of books on baseball’s globalization and the exploitation of players in the Dominican Republic and his native Venezuela, says little has changed. “If anything, it’s gotten much worse,’’ Marcano said last week, adding that a proliferation of private Dominican academies run by offshore U.S. investors, official player agents and buscones has created intense competition for younger players. Marcano said teams are “pre-signing” players to unofficial deals by 14 and 15 until they’re eligible for official contracts at 16 years, six months of age. Cano and Dominican catcher Welington Castillo of the Chicago White Sox this month became the 56th and 57th MLB roster players suspended since PED testing was implemented. Of those, 23 – 40 percent – were born in the Dominican Republic despite only about 10 percent of MLB players hailing from that country in any given season. And that’s not counting former Mariners star Alex Rodriguez and Royals infielder Adalberto Mondesi (currently in the minor leagues), who both were suspended and are dual U.S.-Dominican citizens with close ties to the Caribbean country. Players from Venezuela grow up under a similar system and are funneled through MLB academies in the Dominican, as are prospects from Central America and other Caribbean countries. Five Venezuelans, three Cubans, one Panamanian and one Nicaraguan have been nabbed for PEDs since 2005, which, combined with the Dominicans, accounts for 58 percent of all suspensions despite comprising less than a quarter of the MLB population. Of 14 players suspended in the 2013 Biogenesis scandal, 11 once played in the Dominican Summer League. The past five MLB players suspended since the start of 2017 hail from the Dominican as well. Marcano said the late 1990s, when Cano and Cruz were amateur players, was still a “Wild West” for Dominican baseball, with MLB a decade away from suspending for PED usage there. Cano didn’t need the buscones, because his father Jose had pitched for the Houston Astros in 1989 and was independently training him. As a Dominican high-school player, Cano had been slow, with a skinny upper body and was passed over by several teams before the New York Yankees signed him for a much smaller bonus than his dad was seeking. These days Cano’s dad, who is not registered player agent, runs a private academy in the Dominican that has partnered with U.S. investors on developing Dominican teens. As for Cruz, a basketball player and late baseball bloomer, he didn’t need a buscon either after being discovered somewhat accidentally by a New York Mets scout watching a pickup game. Cruz at 17 was thrust into the Mets’ academy and struggled for three years in a Dominican Summer League rife with PEDs as a byproduct of the buscones system. Only 2 percent of Dominicans signed to pro contracts make it to MLB, and the academy players are in cutthroat competition just to make the U.S. minor leagues. Cano skipped the MLB academy system and at 18 went straight to rookie ball in the U.S. But he’d return home each offseason and later played winter ball in the Dominican, competing alongside players purchasing myriad PEDs at local pharmacies without prescription. Both Cano and Cruz say they’ve never taken PEDs to boost performance. 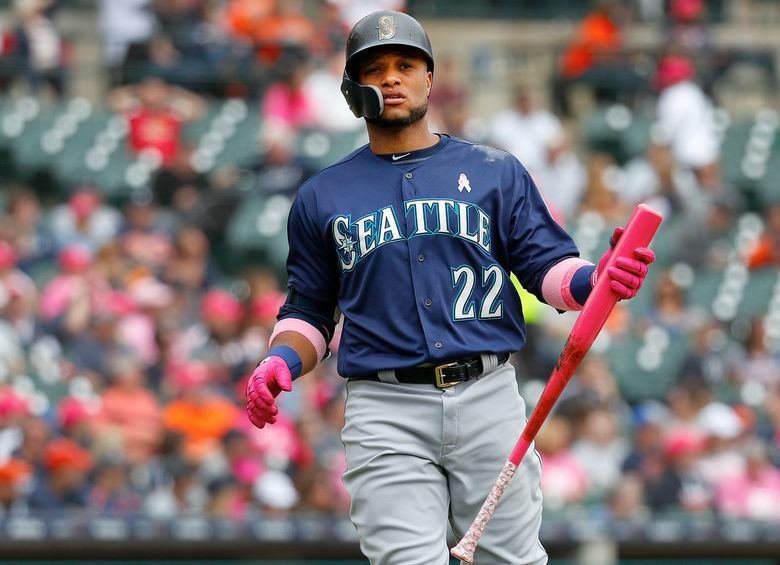 Cano says the masking agent was prescribed for an undisclosed health condition, and Cruz said he made a “mistake” seeking treatment from Biogenesis for an ailment that caused him to lose 40 pounds. Cano was 15 and Cruz 17 in 1998, when Dominican star Sammy Sosa chased Mark McGwire for the season home-run record. In other words, only free-swinging power-hitters need apply. Once inside MLB teams’ Dominican academies, even players that previously avoided PEDs felt pressure to keep up. Not getting promoted meant returning into impoverished Dominican life with relatively no education. During our 2005 visit, a few years after Cano and Cruz had left for the U.S., a former amateur pitcher named Pedro Soto – identified by buscones as a PED supplier — estimated in an interview that 90 percent of Dominican players used such drugs by their late teens. Soto, then 22, acknowledged that he had counseled amateur players about PEDs and supplied pro prospects in MLB-run academies. “They know that I used, and they want to know what I took,” Soto said. It wasn’t until 2009, after embarrassing disclosures about MLB team officials colluding with buscones, that commissioner Bud Selig dispatched executive Sandy Alderson to the Dominican as an emissary. Alderson reported in September 2009 that “corrupt buscones” were primarily responsible for the PED pipeline and added that MLB teams had avoided confronting them – fearing they’d be denied access to top prospects. Marcano said subsequent MLB drug testing of Dominican amateurs, introduced in 2010, screens only a fraction of prospects signed annually into pro academies. “The biggest problem is still at the amateur level,” he said. MLB has tried educating Dominican players about PEDs and testing. But they see players earning millions – Cano signed a $240 million, 10-year contract with the Mariners in 2013, and Cruz signed a $57 million, four-year deal with Seattle in 2014 – and figure it’s worth using all the way to the majors and even after making it. Manny Ramirez appeared Hall of Fame bound before he was suspended in 2009 and 2011. Before being suspended, Ramirez had won a World Series and had nothing more to prove. Studies by the World Health Organization, Yale University and the National Institute on Drug Abuse, among others, have found long-term PED usage can create either physical or psychological dependence on them. Dominican players weaned on PEDs at 14 and now in their 30s in MLB will have been playing baseball on them the majority of their lifetimes. Marcano said some Dominican players in MLB feel pressured to keep earning more money to support large families back home. Or, they feel pressured, just like American players, to perform for big contracts. Rodriguez said he took PEDs to help him live up to his $250 million contract signed in Texas after leaving Seattle. Some might continue using PEDs because they’re chasing a record. Others, just to stay in a game they love.